Over half (57 percent) of organizations suspect their mobile workers have been hacked, or caused a mobile security issue, in the last 12 months according to a new study. 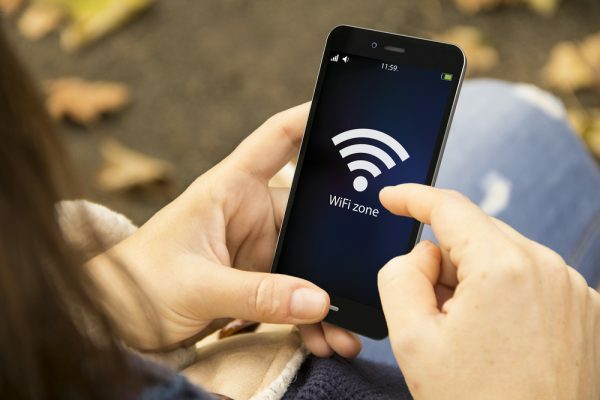 The study by mobile connectivity specialist iPass shows that public Wi-Fi is the most common source of incidents, with 81 percent of respondents saying they had seen Wi-Fi related security incidents in the last year. Cafes and coffee shops (62 percent) rank as the venues where such incidents have occurred most. They are closely followed by airports (60 percent) and hotels (52 percent), with other locations on the list including railway stations (30 percent), exhibition centers (26 percent), and in-flight (20 percent). The report is based on responses from 500 organizations from the US, UK, Germany and France, and shows companies are dealing with the trade-off between security and the need to enable a mobile workforce. Many businesses now have BYOD policies to empower their mobile workers. However, 94 percent of enterprises say BYOD has increased mobile security risks. Overall, 92 percent of organizations say they are concerned that their growing mobile workforce presents an increasing number of security challenges. "There is no escaping the fact that mobile security threats are rising. So while it is great that mobile workers are increasingly able to work from locations such as cafes, hotels and airports, there is no guarantee the Wi-Fi hotspot they are using is fully secure," says Raghu Konka, vice president of engineering at iPass. "Given the amount of high-profile security breaches in recent years, it's not surprising this issue is on the radar of CIOs. The conundrum remains: how can they keep their mobile workers secure while providing them with the flexibility to get connected anywhere using their device of choice?" The findings show many organizations are still addressing mobile security problems by simply banning employees from using free Wi-Fi hotspots. More than a quarter (27 percent) take the hardline approach of banning their use at all times, while 40 percent ban their use sometimes. A further 16 percent say they plan to introduce a ban on public hotspots in the future. Many organizations now use VPNs to provide secure remote access to their data and systems, and the research shows that employee usage of VPNs is slowly increasing. In 2016, the iPass Mobile Security Report revealed that 26 percent of organizations were fully confident their mobile workers were using a VPN every time they went online, that figure has jumped to 46 percent in 2018. But that still leaves more than half of respondents reporting they still aren't fully confident their mobile workers use a VPN every time they go online. You can find out more in the full report, available on the iPass website.